This content is provided by Daniel Poynor. 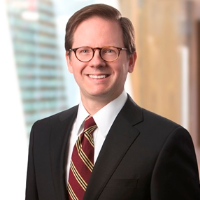 Daniel Poynor, the head of Steptoe’s pipeline practice, represents oil pipeline companies before FERC and appellate courts. Daniel's clients benefit from his extensive experience with the range of economic and regulatory issues involving oil pipeline rates and regulated practices. He helps pipeline clients craft effective strategies for establishing and maintaining profitable rate levels, including through cost-of-service, market-based, indexed, and negotiated ratemaking. Daniel guides clients on new pipeline and pipeline expansion projects, and advises on capacity allocation, regulatory compliance, Interstate Commerce Act jurisdiction, and tariff issues.